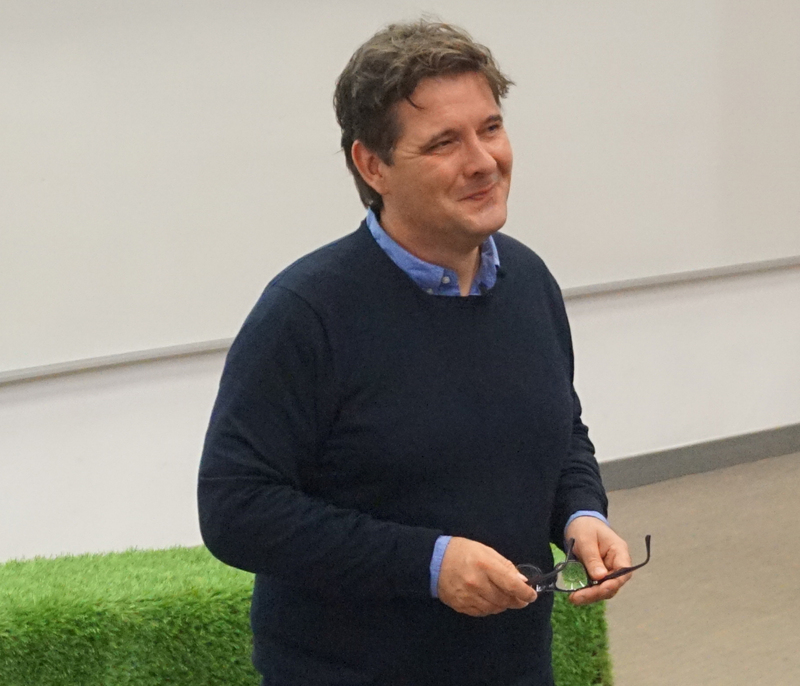 Trebor Scholz, reposted from The News Coop: The Platform Cooperativism Consortium’s annual global conference was held at the Chinese University of Hong Kong (CUHK) – the first time the event has moved away from the New School in New York City. This two-day conference, and the 48-hour hackathon that preceded it, involved more than 250 participants from 18 countries, including 40 co-ops interested in experimenting with platform co-ops. Co-op leaders, students, researchers, programmers, open source activists, and freelancers from various sectors came to the CUHK campus in the hills above Hong Kong, a short train ride from Shenzhen. During the conference, the Platform Cooperativism Consortium Hong Kong was launched with its own website, as was a new Chinese-language book on platform co-ops entitled 平台點合作. There were several reasons for bringing the event to Hong Kong this year. As platform cooperativism expands, we need to develop our thinking and practices also outside of a European and Anglo-American context. Countries like Japan, South Korea, the Philippines, Vietnam, Indonesia, and Taiwan all have vibrant co-op communities and long histories of mutual aid. Platform co-ops can and should learn from these diverse contexts. With 60% of the world’s population living in Asia, and with significant social and political challenges in the years ahead, the co-operative digital economy has the potential to make a significant impact on a number of pressing issues. From how to care for an ageing population, a growing number of refugees, worsening economic inequality, and the growth of the informal economy, platform co-ops and our Platform Coop Development Kit can improve the conditions and rights of workers, and help answer these challenges. This year’s event used the agrarian metaphor of “sowing the seeds” to explore how platform cooperativism – and its key principles of broad-based platform ownership, democratic governance, open source, and co-design — can take root in Asia. Participants heard from a range of co-operative entrepreneurs, scholars, activists, and hackers who shared their insights on everything from platforms used by rural co-ops in Taiwan to new developments in peer-to-peer licensing. Conference conveners Jack Qui, Terence Yuen, and Trebor Scholz led panels that forged connections between diverse topics, from the use of blockchain technologies for refugee co-ops to considering new pathways for platform co-ops in Asia. On the first day of the conference we focused on resources and organisations emerging across south-east Asia. Representing the Japanese Cooperative Alliance, Osamu Nakano documented the growth of the co-op movement in Japan which now counts 65 million members. Nakano emphasized the long term commitment of Japanese worker co-ops to platform cooperativism. Namya Mahajan, managing director of the Federated Self Employed Women’s Association (Sewa) in India, spoke about how Sewa supports more than 106 co-ops with a membership of more than 300,000. Mahajan outlined the “Sewa Way” and its unique approach to organising informal workers through a hybrid union and co-op model. She also reported how the collaboration with the Platform Co-op Development Kit had started. Participants learned about the Smangus Aboriginal Community Labor Co-op in Taiwan, which was the subject of a recent Peabody Award-winning documentary, and its unique ability to motivate their young to stay and work for the co-op instead of moving to the city. Presenters also discussed the critical work of the Nangtang farming co-op in mainland China and the Alliance of Taiwan Foodbanks in Taiwan. All three groups participated in a hackathon in the days prior to the conference, prototyping new digital platforms for their organisations. Project ideas were based on Smangus’s need for a new platform to organise their recent surge of eco-tourists and the Taiwanese Foodbank’s need for a better digital platform that could improve the efficiency of receiving and disbursing food donations. From South Korea, Changbok You showcased Sungmisan, an inspiring urban village in Seoul that offers residents a variety of co-operative living practices to combat inequality and social fragmentation. Indonesian entrepreneur Henri Kasyfi discussed a new co-operative platform that can facilitate payment by facial recognition technology, specifically helping street merchants and the country’s poorest businesses. Also discussing new hardware possibilities, David Li, who founded the first Maker Lab in China, spoke about the possibilities for tech development in Shenzhen. With the Chinese city’s rapid rise as an industrial center for tech production, many formerly expensive commercial products can now be produced at astonishingly low prices. His lecture sparked a discussion about the potential for a new co-operative phone or co-operative hardware to be distributed by large co-ops. It also raised concerns about the social and ecological costs of such low-cost production. 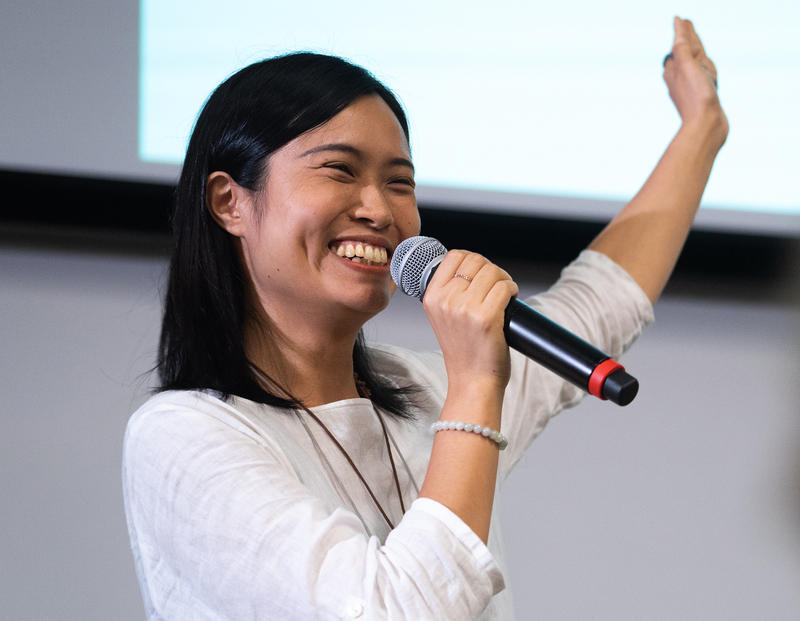 As part of her spirited presentation, Gigi Lo showcased her project Translate for Her, which supports ethnic minority women living in Hong Kong who cannot read Chinese. Translate for Her allows these women to complete daily tasks like signing a lease for an apartment, or understanding their children’s report cards. The Singing Cicadas group, a small Hong-Kong-based production company of film-makers, writers, and illustrators focused on social justice storytelling, presented their decision to become a co-op. Renowned sociologist Pun Ngai, co-author of Dying for Apple: Foxconn and Chinese Workers, argued that China’s revolution of 1949 is still unfinished – and that it now must challenge class conflicts within the global capitalist system. The challenge for platform cooperativism in Hong Kong, she argued, is to not become an empty slogan but to turn it into “a social movement embedded in real struggles”. Later, as a counterweight to some of these arguments, Melina Morrison, CEO of the Australian Business Council of Cooperatives and Mutuals, spoke about the strong state of the co-op movement and how it continues to grow and employ more workers, both in Australia and around the world. Michel Bauwens argued that the rise of blockchain technology is being used to create a world where community and trust are absent. Bauwens imagines a post-blockchain world where – somewhere in the force field between public benefit and profits – platform co-ops and protocolary co-ops, as well as other organisational forms, could thrive. Huang Sun-Quan, director of the Institute of Network Society at the China Academy of Art, discussed the unique coding and design dimensions of platform co-ops, arguing against “digital gentrification” in which only the rich members of communities benefit from technological developments. The day concluded with a panel exploring platforms that use co-operative thinking for design and implementation. Jack Qiu calls them “amphibious platforms.” Although not formally platform co-ops, by attending the conference these groups can consider ways to integrate platform co-op principles into their work. Panelists included Hong Kong entrepreneur Albert Liu who is developing a new ride-sharing programme for the city, and Jessamine Pacis from the Foundation for Media Alternatives in the Philippines. Pacis’ work focuses on the rapid growth of in-home cleaning services, which leaves workers rights in a grey area without clear legal protections. Platform co-ops are a workable, clear alternative. Ali Ercan presented his work on Needs Map based in Turkey, which directly connects people willing to make in-kind contributions with neighbours who have matching material or volunteer needs. And panelist Nashin Mahtani, representing the PetaBencana group in Indonesia, outlined how their platform uses real-time information to deal with floods and urban disasters. With some of the highest concentrations of social media users in the world, Indonesians are constantly tweeting and posting about flooding. PetaBencana transforms this data into actionable information by hijacking it from social media platforms through an open source technology called Cognicity, and posts it to an open and accessible online map to give citizens up-to-date information on flooding. Day 2 of the conference focused on how platform co-ops are emerging around the world, and how everyday users can democratically own and operate platforms regardless of their location. Trebor Scholz opened the day by bringing greetings from a group of 45 taxi co-op leaders in Brazil, with whom he had just met. Trebor provided an update and analysis of the movement, explaining that the co-operative digital economy looks different from country to country. Over the past year, co-ops generally have continued to gain some momentum. New platform co-ops are popping up in new industries continuously. Through the Platform Co-op Development Kit, the New School team and developers from the Inclusive Design Research Centre will jump-start burgeoning platform co-ops and create a new online hub, sharing resources and facilitating learning. Learn more about this work here and write to [email protected] if you can think of ways in which you want to get involved in your country. Participants from around the world followed, giving short updates on their projects. Felix Weth of Fairmondo.de in Germany discussed his experience setting up a co-operatively run online marketplace. It was challenging: he had to learn to emphasise, and even prioritise, a sustainable co-operative business model first, which would enable the social benefits of the co-op model. Sharetribe co-founder and CEO Juho Makkonen called for a diversified digital economy and discussed how his company focuses on convenient platform hosting, so that anyone can start an online labour or market platform in a short period of time. From France, Edith Darren presented on CoopCycle, an open source platform co-op focused on helping bicycle delivery workers become owners of their own food delivery platforms. Edith and her colleagues had attended the New York City conference in 2017 with just a nascent idea in mind. They proudly presented at this year’s event to show their progress, giving thanks to the numerous connections, insights, and encouragement from the previous conference. Geddup.com, based in Australia, is a community action platform for trade unions, co-operatives, and schools that is currently converting to a platform co-op. Geddup allows groups to organise events, recruit volunteers, undertake votes, and gather feedback online. Co-founder Rohan Clarke outlined how co-operatives and social organisations can communicate better, maximise responses, and reward progress through the platform. Rohan also shared great notes from his experience at the 2018 conference which you can read here. Danny Spitzberg from CoLab Co-op shared out results from the co-opathon, and updated participants on two of CoLab’s current projects. The first is helping to develop a cleaning co-operative called Up&Go in New York City, and the second is establishing a temporary staffing service called Core Staffing in Baltimore. Core Staffing is owned and operated by returning citizens, or previously incarcerated individuals. Stephen Gill presented on CoopExchange, “the world’s first crypto exchange dedicated to buying and selling co-operative tokens”. Check out more videos about this work and follow the launch of their app on Twitter. Swedish union leader Fredrik Söderqvist shared updates from Unionen, Sweden’s largest union, which organises private sector, white collar professionals into unions. In recent years, Unionen’s work has focused on standardising contracts for digital enterprises, and helping emerging platform co-ops and unions create new labour contracts and standardised regulations. From Smart.coop in Belgium, Lieza Dessein discussed the 20-year history and success of their mutual risk platform co-operative, which focuses on protecting freelancers against wage theft and late payment while also offering social benefits and co-working spaces. Freelancers become employees of SMart.coop and then share resources like accountants and lawyers, but continue to work independently as artists, writers, and digital creatives. Through their online platform, SMart.coop scaled significantly and now serves more than 85,000 members across Europe. Next, a roundtable discussion focused on how blockchain technology could scale and reshape platform co-ops. Panel chair Jeff Xiong and Trebor Scholz asked the panelists to explore several key questions. These included how, beyond all the hype, blockchain can in fact facilitate better business practices – and what it can do right now. Panelists explored if and how blockchain can scale, and how to overcome problems with ecological sustainability. Tat Lam, for example, reported about his fascinating work assisting refugees with blockchain-supported identities. One of China’s first bloggers, Isaac Mao, discussed the use of blockchain technology for music. Jack Qiu concluded day 2 by circling back to the theme of “Sowing the Seeds”. Through presentations, conversations, panels and group discussions, participants helped plant new seeds for the co-op movement in Asia and around the world. Though some of this nurturing and growth may be going on underneath the ground, and not readily apparent, the work continues to expand, creating a new network of roots and a new ecosystem. How quickly and intensely this ecosystem will flourish depends on the continued dedication of organisers, researchers, co-operative workers, and on additional support from traditional co-ops and philanthropic VCs stepping up to nurture this work. Through the conference, practitioners and activists across Asia were able to share ideas, and plot a co-operative future of work. In this way, the event meaningfully showcased the diversity, open-endedness, and exploratory nature of many co-ops emerging in the region. Critical thinking and inspirational imagining of possible futures was balanced with real-world, on-the-ground examples of co-operatives and technologies succeeding right now. But participants agreed that larger, traditional co-operatives need to do more to help nascent platform co-ops develop. Many debated and discussed how large-scale co-op federations and enterprises can do more to serve the weakest and most vulnerable members of society. Others asked how co-operatives can spread worker ownership and workplace democracy also throughout the supply chains that they rely on. Cognisant of the need to take formal steps to address these issues themselves, Platform Cooperativism Consortium members agreed that platform co-ops should work towards adopting a form of certification such as that by the Fairwork Foundation, to ensure that workers’ rights are protected. As we look ahead to 2019, the Platform Cooperativism Consortium is excited to mark the ten-year anniversary of digital labor conferences at The New School. Please save the date for our annual conference next year to be held on November 7-9, 2019 at The New School in New York City. See a photo album of the event here. New to this work? Click here to learn more about the growing and global platform co-op movement. Greetings from Philadelphia! Thanks for posting this article. As a worker-member of Weavers Way Co-op I’m interested in learning more about Platform Cooperativism. Do you have any representatives in Philadelphia? Thanks!